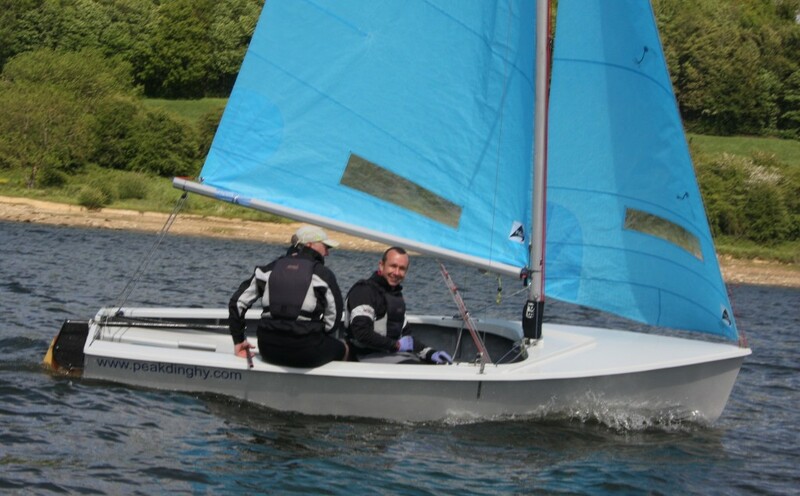 The Peak Dinghy Enterprise is built using a mould taken from an Ovington Hull and its success has been proven for over thirty years and continues to deliver. 1st Nationals in 2015 and 2016. The traditional deck layout is roomy and means that the boat can easily be recovered from a capsize. Several new features have made the boat even better; these include strengthening to improve stiffness (thus curing the old issue of the centreboard pinching) and FRP Knees to improve the strength of the Deck to Hull bond. 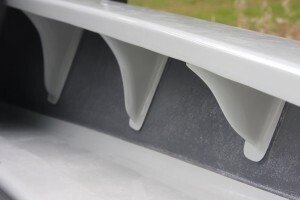 The boat is available in either Vinylester or Epoxy resin, both with the latest foam core construction. For those who like the more traditional look and feel of a wooden deck, with the resilience of an FRP Hull, the Peak Dinghy Enterprise is also available as a composite option. If a complete race spec boat is more than you need, hull only or lower spec fit outs are also available. 2 World Championship and 3 National Championhips 1st place titles. The Rondar Enterprise hull is based on a mould taken from the World Championship winning boat. In 2010 the class approached Rondar Raceboats and the two organisations worked together to produce a new modern deck and internal design to enable better and stronger construction in composite materials. While doing so the layout and look has been changed to help with buoyancy and drainage after a capsize. High density foam sandwich cores and extensive use of advanced construction systems for the hull produce a craft that is unequalled in terms of panel stiffness and strength for its weight. The deck moulding incorporates side buoyancy tanks, thwarts and capping into one rigid moulding to promote overall stiffness. Since the launch of the MK3 there have been many sold and they are proving a hit with everybody. JJ Boats started building enterprises in 1998. Over the past several years they have become recognised as not only an attractive well built boat, but a very fast hull. Wooden Enterprises are very popular so why not give yourself the chance of getting to the front of the fleet. For either a club boat or a championship racing machine, choose a JJ Enterprise. Finished by Paintcraft boats to an unrivalled standard, this is the most beautiful boat money can buy.